In August of this year, we started a new series called Who to follow, a series where we profile awesome people on Twitter who deserve your attention. So far we have profiled Jacqueline Gallagher, a senior recruitment consultant at David Aplin Group in Halifax Nova Scotia; and Ross Simmonds, a full-time digital strategist and creator of dreamr. This week, Kristine Simpson and Julia Kent decided to do a special Who to follow. We think you should follow… drum roll please… the news! Twitter is an excellent source to grab your news throughout the day. Following credible news outlets on Twitter help you stay up-to-date with the latest news happening in real time. Although the full printed/recorded news story may not come until the following day, news outlets offer a play-by-play of the facts they collect as they build on breaking news stories. 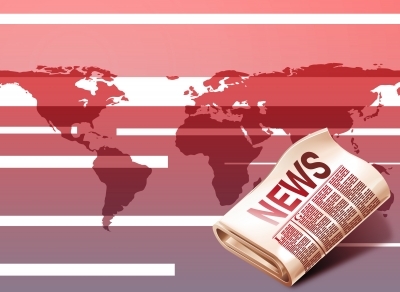 It is important to follow the three levels of news: your hyper local news to find out what in happening in your area and city, your national news to ensure you are current with news that may affect your client/company, and international news, especially if you are interested in international politics and affairs. Who do you follow on Twitter to keep up-to-date with news? And again, don’t forget to register for the IABC & CPRS: Merry Mix & Mingle happening in Ottawa, Canada on Thursday, Dec. 13 from 6 p.m. to 8 p.m. Young PR Pros will be there with their recorder, as always, asking the questions that matter to young PR professionals. This entry was posted in Who to follow, Young PR Pros podcast and tagged bbc, bbc news, career, cfra, communications, globe and mail, jobs, marketing, news, ottawa citizen, pr jobs, public relations, Twitter by Kristine D'Arbelles. Bookmark the permalink.